Chemistry, which is often referred to as the Central Science, is an integral discipline of the Natural Sciences Program. The department has two General Chemistry laboratories containing a total of twenty-six computer-interfaced stations as well as a fully equipped Organic Chemistry laboratory. A tutorial room and a Study Area are also available. A dedicated staff of fifteen instructors and two technicians provide challenging and enriching courses in a stimulating learning environment. Amélie Bérubé obtained a B.Sc. degree in Chemistry from the University of Montréal in 1999. She then completed a master’s degree in physical organic chemistry at Bryn Mawr College, PA (2001) under the supervision of Prof. Frank Mallory. She continued her graduate studies at Yale University where she obtained a Ph.D. degree (2006) working on the total synthesis of naturally occurring polycyclic terpenes under the supervision of Prof. John Wood. After graduation, she became Assistant Professor of Chemistry at St. Joseph College, CT. Since moving back to Montreal in 2007, she has taught at CEGEP de Saint-Laurent before joining John Abbott College in 2009. 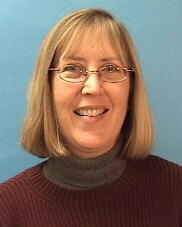 Suzanne Black joined the JAC Chemistry Department in 2000. She graduated from The University of Tulsa’s School of Engineering with a Bachelor of Science in Chemistry in 1987. She obtained her Ph.D. in 1992 from Harvard University where she studied multiphoton ionization of phosphine under the supervision of Prof. Peter Chen. She then moved to Canada and joined McGill University where she directed the General Chemistry Laboratory program for six years. Murray Bronet has been a teacher at John Abbott in the Faculty of Science (Chemistry) since 2002. Previous to his tenure at Abbott, he taught at Vanier, Champlain, Dawson, and Marianopolis colleges. Murray has also worked in industry at Dofasco (steel making), Hydro-Quebec (high voltage/temperature chemical reactions), Union Carbide (flue gas desulfurization), and Tescult (consulting engineering). He graduated Bachelor of Engineering (Chemical) from McGill University in 1981, MScA at Sherbrooke University in 1986 and obtained his PhD Engineering (Chemical) from McGill University in 1990. He is now enrolled in a Masters of Education at Sherbrooke University through Peforma MTP. Murray's current research emphasis concerns evaluating students' perceptions of cooperative learning in the science program. Andrew Brown has been teaching at John Abbott College since 2005, following several years of teaching experience at the CEGEP and university level. He obtained a B.Sc. in Chemistry at Bishop's University. This was followed by a Ph.D. from McGill University. Prior to teaching at John Abbott Andrew has also been involved in research and development on the optical properties of materials. David Fenwick has been part of the Chemistry Department at John Abbott College since 2004. He is a graduate of McGill University (B.Sc. Hons., 1998) and The University of British Columbia (M.Sc., 2002). Before his appointment at John Abbott College, David was part of the medicinal chemistry team at Aegera Therapeutics Inc., a private biotechnology firm specializing in apoptosis. 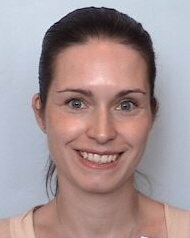 Michal joined John Abbott as a chemistry teacher on September 2007. She was also teaching at Dawson college (Cont. Ed program) in the academic year of 2008-2009. She holds BSc (Chemistry) and MSc (Applied Chemistry) from the Hebrew University, and PhD(Chemistry) from McGill University. She also spent two years as a Post Doctorate Fellow at the University of Montreal -Chemistry department. Her research experience mainly involved material chemistry: form organic conjugated polymers (synthesized for purposes of light emitting diodes), to nano materials (such as polymers, lipids and nano-particles) at interfaces. While working on her master degree Michal also worked at Intel.Ltd (Jerusalem), as a member of the engineering department. 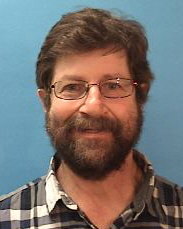 Ed Hudson joined the JAC chemistry department in 2012. He holds a B.Sc. in chemistry and environmental science from Trent University. He then earned an M.Sc. in marine chemistry from the Memorial University of Newfoundland, and a Ph.D. in atmospheric & marine chemistry from McGill University. As well as at John Abbott College, Ed has taught at Dawson College, at the Memorial University of Newfoundland, and at the Hess Language School and Chang Gung University in Taiwan. When not teaching chemistry, Ed enjoys working with organizations which teach people to build and maintain bikes as a sustainable form of transportation. Sean Hughes has been a teacher in the department of chemistry at John Abbott College since 2006. In 1999, Sean earned his B.Sc. in Biology from Concordia University and was a graduate of their Science College program. He stayed at Concordia University to pursue his Ph.D. in Chemistry under the co-supervision of Drs. John A. Capobianco and Gilles H. Peslherbe. His work entailed understanding the cluster-to-bulk transition of micro-solvated ions. Prior to joining John Abbott College, Sean taught classes at Dawson College as a member of their continuing education department and assisted Dr. Bhuvan Pant for a number of years with an e-course for non-science students at Concordia University. Today, he is John Abbott College’s Pathways Coordinator, is an active member of their Student Success Committee, and is a member of the Learning Specialists Association of Canada (LSAC) board of directors. He also works with the Master Teacher (PERFORMA) Program as both a technician and a member of their IT Advisory Sub-Committee. Rekha Iyer has a Bachelors in Science from National College, Bangalore, India; Masters in English Literature from Mysore University, India; Masters in Chemistry, Concordia University, Montreal; Diploma in Environmental Sciences, Concordia University, Montreal. She started her teaching career at John Abbott College in 1992. Prior to her teaching career, she worked at Imperial Tobacco Company in their Research Department. During her years at Abbott, she had the opportunity to design a brand new course based on Forensic Chemistry, which was offered for the first time in the Montreal area schools. This course is now offered to both science and non-science students. Other than teaching at John Abbott, she also visits local high schools to give talks on science and education. During these visits, she promotes her enthusiasm for science and learning through interesting chemistry experiments and demonstrations. Shahid has been working at John Abbott College for 39.5 years in the Chemistry Department as Professor. 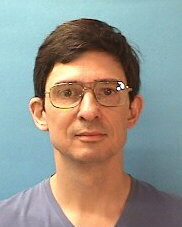 He has extensive laboratory experience, and teach most chemistry courses. He has a Master’s degree from McGill University (185), and a Diploma of Teaching from the Universite de Sherbrooke (1976). 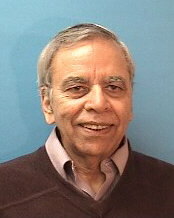 Shahid has received the prestigious POLYSAR award for Outstanding Teaching in Community and Technical Colleges, presented at CIC/ACs Joint Conference in 1977. In 1994, Shahid received the C3 award for Contributions to Chemical Education. Shahid taught PERFORMA courses from 1978-1985 for the teaching of college level teachers in their pursuit of a diploma on Collegial Teaching. Finally, Shahid was one of the authors of the textbook, “Physical Science: Discovering Matter & Energy”, published by Copp Clark Pitman Ltd.
Michael Lautman has been a part of the Department of Chemistry since 2006. He has also lectured at Dawson College and L'Universite de Montreal. Michael obtained his Science DEC from John Abbott in 1997. He obtained his B.Sc. (Honours Chemistry) from Concordia Univeristy in 2000, M.Sc. (Organic/Materials Chemistry, 2002) and Ph.D. (Organic/Materials Chemistry, 2007) from L'Universite de Montreal. He interested in the public perception and understanding of science and is developing a number of project that use chemistry to promote sustainability on campus. 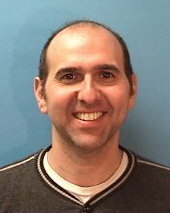 Dr. Antonio Nicodemo has been a teacher at John Abbott College since 2004 as a member of the Continuing Education Department teaching both Analytical and Organic Chemistry courses. 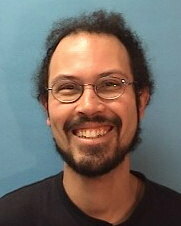 In fall 2007, Antonio joined the Faculty of Science (Chemistry Department) as a part-time staff member and subsequently as a full-time teacher (Winter 2008). 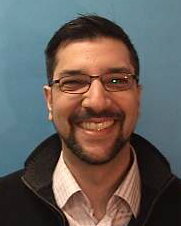 Prior to joiningJohn Abbott College, Antonio taught at Marianopolis College and was a Teaching Assistant/Faculty Lecturer at McGill University (MacDonald Campus) during his graduate studies in the Department of Food Science and Agricultural Chemistry (MSc) and the School of Dietetics and Human Nutrition (PhD). In addition, Antonio has also worked in industry at Charles Rivers Laboratories as an Analytical Research Chemist/Project Manager and as an instructor and trainer since 2001. 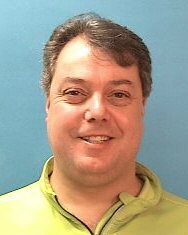 Antonio earned his Bachelor’s of Science in Biochemistry from McGill University (Faculty of Medicine) in 1991, MSc in Food Science and Agricultural Chemistry from McGill University(MacDonald Campus) in 1995 and obtained his PhD in Nutritional Biochemistry from McGill University (MacDonald Campus) in 2004. Tania Peres has been part of the Chemistry Department at John Abbott College since 2006. She graduated from Concordia University with a B.Sc. in Chemistry followed by a Ph.D. in 1999. Tania then moved to New York City where she taught at St. Francis College and Bard HS Early College. She was also involved in laboratory development. 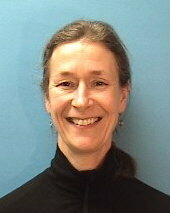 She returned to Montreal in 2005 and worked briefly for an insurance company as a consultant for the biotech industry. Jean-Michel Régimbal joined the JAC Chemistry Department in 2000. He graduated from the chemistry program at the Université du Québec à Chicoutimi in 1993. He obtained his Ph.D. in 1999 from York University where he studied atmospheric chemistry with Prof. Michael Mozurkewich. He then taught meteorology and climatology at York University before returning to Quebec in 2000 to teach chemistry at John Abbott College. He left John Abbott from 2001 to 2003, working at Vanier, Marianopolis and Dawson Colleges. He developed a complementary course on climate change course that is now taught here in the winter to non-science students. Roberta Šilerová has been teaching in the Department of Chemistry atJohn Abbott College since 2002. She teaches both NYB and NYA Chemistry, as well as Chemistry of Winemaking and Beer Brewing, a complementary course. 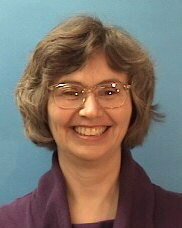 She also runs the Chemistry Peer Tutoring Program in the Chemistry Study Area. Roberta is the Chemistry Department representative for the new Science and Technology building at JAC. Roberta completed a BSc in Chemistry at McGill in 1986, then went to theUniversity of Toronto for an MSc (1988), and then came back to McGill for a PhD under the supervision of Bruce Lennox (1992). She worked as a post doctoral fellow in Mainz, Germany, at the Max-Planck-Institute for Polymer Research. Following that, she was a member of the Department of Chemistry at the University of Saskatchewan, in Saskatoon, before joining JAC. When she is not teaching Chemistry, Roberta likes to be outdoors with her family, and they can be found camping or hanging out at the cottage all summer. Jana Simandl holds B.Eng. and PhD degrees in chemical engineering. Following her studies, she worked at the Shell Canada Research Centre in artificial intelligence. Subsequently, she joined the department of chemical engineering of McGill University where she was an assistant and associate professor. She remains an adjunct professor there. She enjoys college teaching. 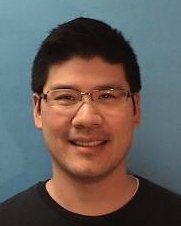 Tom (Tian-Yun) Wang has been teaching at John Abbott College since 2004. In his original hometown of Winnipeg, Tom earned his B. Sc. in biochemistry at the University of Manitoba in 1998. He then moved to Montreal to pursue a Ph. D. degree in biochemistry at McGill University which he completed in 2006. 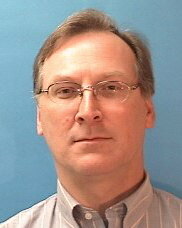 Besides teaching, Tom enjoys participating in recreational sports, particularly volleyball and tennis. The department offers courses for science students wishing to enroll at University in Pure and Applied Sciences as well as in the Health Sciences. Complementary courses are also offered to non-science students. To obtain your diploma in science, you need to complete all the General Education requirements, 9 compulsory Science courses (descriptions in program planner) and 3 Science option courses. Note that not all courses are offered every semester. Courses marked with an asterisk* (see Course Outlines) contain the entire Science Program Comprehensive Assessment. For courses marked with two asterisks** (see Course Outlines), students will have to pass two comprehensive assessment projects. That is, students could take Organic Chemistry I and Biology II OR Organic Chemistry I and Organic Chemistry II to gain the credit for the Comprehensive Assessment. For a detailed course listing, please visit the Science, the Biopharmaceutical and the General Education (Complementary courses) sections of the Course Calendar. Oriented towards understanding concepts, this course examines numerous macroscopic properties of solutions and chemical reactions. Major topics in this physical chemistry course include colligative properties, reactions, equilibrium (both general and solution equilibria), electrochemistry, kinetics, and acids and bases. Students who do not meet the minimum requirement for 202-NYB-05 (at least 70% in Sec. V Chemistry) will need to take 202-NYB-EN. This course introduces atomic and molecular structures. Topics covered include development of modern atomic theory; chemical bonding and its effect on the chemical and physical properties of matter. An introduction to the chemistry of organic molecules including alkanes, alkenes, alkynes, aromatic systems and their derivatives, this course employs a mechanistic approach to the understanding of typical organic reactions. Laboratory work is an important part of the course. A continuation of Organic Chemistry 1 (202-DCP), this course extends the study of mechanism, structure and synthesis in organic chemistry. Methods introduced in 202-DCP are reviewed by application to the study of aromatic and carbonyl compounds. The use of spectropic techniques for determining molecular structure is emphasized. Practical laboratory work, including the use of chemical instrumentation, is an important component of the course. This course is designed for science students who want to learn more about the chemistry of the natural and the modified (polluted) environment, and how we determine the concentration and behaviour of key chemical compounds in an environmental context. Topics include climate change, smog, metals and organic pollutants in the environment, nuclear chemistry, water contamination and treatment, and greener chemical synthesis. Familiarity with material from chemistry NYB and NYA is assumed. Is that blood on your hands? Did the urbane Claus von Bulow attempt to murder his rich socialite wife by surreptitiously injecting insulin into her medication? Remember the famous ‘Acid Experiments’ of the 1960’s conducted in our back yard at McGill University and secretly funded by the CIA? What role does a chemist play in the mysterious death of a woman – a death later uncovered as murder due to arsenic poisoning? From sensational high-tech cases like the O.J. Simpson trial to less well-known crimes, intriguing details are revealed in the course appropriately subtitled Arsenic Milkshake. This course gives students the opportunity to take a behind-the-scenes look at the techniques used by today’s new scientific sleuths. You will have a chance to play forensic detective, learn how to analyze gunshot residues, detect fingerprints, check Breathalyzer test results, identify different blood types and analyse drug poisonings. This course is about energy, the methods we use to create and convert it, and the adverse environmental affects these practices have on our planet. From the tar sands in Alberta to the coal pits in Wyoming, we will study how we find, process and distribute our limited fossil fuels. We will learn about CO2 emissions, and how climate change has spurred the emerging green economy of wind farms, tidal generators and solar arrays. How do these things work, and how “green” are they? This is a unique course, team-taught by two teachers from two different departments, allowing a different perspective for today’s most important questions. Equivalent to Secondary IV Environmental Option courses (558-404 or 558-402), this course is intended for students who wish to pursue science or technology programs, but lack the necessary Physical Science prerequisite. The course will provide sufficient chemistry, physics, and biology to prepare students for the Secondary V equivalents 202-001-50 and 203-001-50. Equivalent to Secondary V Chemistry, this course is intended for students who wish to pursue science or technology programs and have passed Secondary IV Environmental Option (558-404 or 558-402), or its equivalent (982-003-50), but lack Secondary V Chemistry. This course provides sufficient chemistry for entry into many technology programs (such as Dental Hygiene and Nursing) and subsequent Chemistry courses. There are two General Chemistry laboratories located in AME-444 and AME-447; each has thirteen computer stations, mounted on the walls and having touch-sensitive screens and are equipped with the Vernier LoggerPro Interface system. The latter provides high-quality data acquisition and also has spreadsheet capabilities; the menu-driven software assists students with calibration of sensors, design of experiments, collection of data, mathematical and graphical analysis of experimental results. The Organic Chemistry laboratory is located in AME-432. It is fully equipped with analytical instrumentation for gas chromatography, infra-red chromatography, melting point apparatus, and HPLC, as a partial list. Many of the experiments in both Organic Chemistry I and II are performed at the microscale level. A classroom/laboratory is located in AME-429. It is designed to be used as either a wet chemistry classroom or a fully functional chemistry laboratory. It consists of long benches equipped with sinks, and the room contains fume hoods. The Chemistry Department has sample final exams available for consultation. Please be advised that these exams are in a “condensed” form, i.e. all spacing available for answers have been removed, in an effort to reduce paper usage. Also note that some questions, or sections, may have been removed from the final exam web version as these questions may have been deemed inappropriate, or unusable, for any number of reasons. These exams only serve as a guide or template to help students get accustomed to the format, types of questions, mark allocation, and approximate length of a typical final exam. There is no promise or committment from the Chemistry Department that similar questions will be used in future final exams, nor will the format remain unchanged.